We can help restore deleted data or files from failing storage devices, and advise you on good Data Backup practice and procedures. Have you just deleted a file you really need? Or is your computer trying to format your memory stick when you connect it? Or, maybe your PC is returning an error message saying your external Hard Drive is corrupt? There are many reasons you could lose an important file, but fortunately in most cases Teign Geeks can recover them for you. We know you can lose your data. Now you do, too. But, what specific scenarios can occur to compromise or corrupt your stored data? Don’t Panic! Stop and compose yourself, but most importantly - DO NOT just remove the power source. Properly shut your computer down STRAIGHT AWAY. Do not try to install anything else, nor run drive scanners like check disk. Any write operations to your disk will reduce the chances of us recovering your data. We can recover data in most situations, unless the deleted file has been written over, or the Hard Drive is mechanically dead (or chemically dead for SSD). Mechanically-dead Hard Drives require specialist treatment. Whilst we do not provide this, we can make recommendations on very good data recovery specialists. What ‘Data’ Do You Store? It might sound like it, but in this instance we definitely don’t LOADS of numbers and massive spreadsheets (yawn). Of course, you may well have spreadsheets and documents full of numbers saved on your desktop or mobile device(s), especially if you’re a business. In essence, ‘data’ is anything saved on your PC, Hard Drive or other storage device that is highly valued by you – be it emotionally or monetarily valuable. How important is this type of data to you? Can you imagine losing irreplaceable family photos – forever? Or, videos from when your little ones were first born? Or, that digital music collection you’ve been building up for the best part of two decades? You probably haven’t given it much thought. A significant amount of people don’t think about what they’d do if their PC’s Hard Drive or local storage device stopped working. But, we’ll tell you this for free – Data Backup is imperative. No, it’s absolutely critical. If you haven’t got a Data Backup solution in place at the moment, put it right at the top of today’s to-do list. It is an unfortunate fact that Hard Drives fail. All of them. Your traditional ‘Spinning Disk’ drives last longer than SSD (Solid State Drives), SD Cards and USB Memory, but they all degrade over time. The question is: How long will yours last before it finally gives up? That, unfortunately, is hard to say. Pretty much impossible. Fortunately, with good Data Backup procedures in place, a Hard Drive failure can go from a catastrophic and irreplaceable loss of data to a mild inconvenience. A mere shrug of the shoulders. With Data Backup measures in place, you can potentially be back up-and-running within just a few hours. All you’ll need is a you replacement Hard Drive, which Teign Geeks can advise you on. 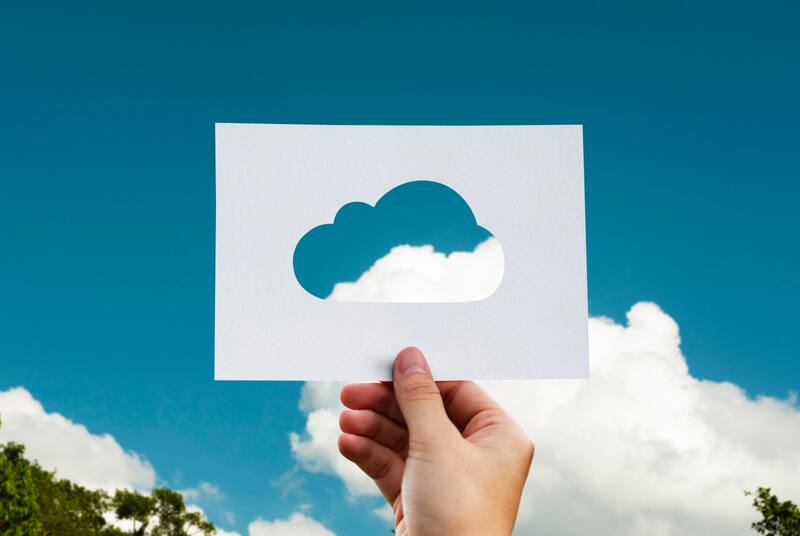 We can also advise you on good Data Backup practice and procedures; we can help source and setup backup hardware for you, and let you know whether cloud (online) storage, local storage, or a combination of the two would be best to suit your data storage needs. We can also configure your PC (or PCs) to automatically backup data on a predefined schedule and, if you have a website or use critical web services, we can schedule backups for them as well. Contact us, or pop in today to discuss your options. Read more about why Data Backup is so important to you on our blog here. Local Backup: ‘Local’ Data Backup solutions refer to external hardware that can be plugged into your PC, Laptop or Mac. Specifically, we’re talking about external Hard Drives, mini USBs and SD cards. Cloud Backup: ‘The Cloud’ is now the most commonly-used data storage solution in the world. Backup your data to a cloud storage solution like Google Drive, iCloud, Dropbox or similar. These guys are excellent. They’ve saved me on more than one occasion, when I thought my technology was dead, or an expensive repair job. Very often, they’ve managed to fix the issue there and then for me! The team at Teign Geeks go above and beyond to help. I left my iMac with TG and the turn around was so quick and affordable. They beat Apple’s quote for repair and advised/stayed in touch the whole way.